The following post has been reblogged from our friends at The Huffington Post and written by Judith Brown Dianis. Important to consider during this painful moment of glaring injustice. It is distressing that George Zimmerman was found not guilty in the tragic killing of Trayvon Martin, an unarmed black teenager who was gunned down last year by a man who saw him as a threat, not because he posed a threat, but because of the color of his skin. We call on the Department of Justice to act on the violation of Trayvon Martin’s civil rights. There is no more fundamental right than the right to live. Trayvon Martin is America’s son. He represents the precariousness of life as a young black man in America. Although the overall murder rate is dropping in the U.S., homicides of young black men are at 28 per 100,000, the highest rate amongst all young people. More than half the nation’s homicide victims are African American, even though they make up only 13 percent of the population, and of those black murder victims, 85 percent are men, most of them young. In March of this year, 16-year-old unarmed Kimani Gray was shot seven times, including three times in his back by New York City police as he left his friend’s birthday party. An unarmed 19-year-old college student, Kendrec McDade, was shot and killed by officers in March 2012 in Pasadena, California. In Las Vegas, 28-year-old Orlando Barlow was surrendering on his knees when officers fatally shot him in 2003. And four years ago, 22-year-old Oscar Grant was killed by Oakland transit police, who said they accidentally used a gun instead of a Taser. All of these young men were unarmed and in almost all of the cases the officers were exonerated and returned to the beat. In the case of Grant, despite video showing the young man being shot as he was handcuffed and lying face down on the platform, the officer was convicted of manslaughter and served less than one year. Sadly, the saga of police killings and beatings of unarmed black youth is as story that forms a part of the fabric of the everyday life of most American black men. Young men of color are also victimized by schools’ zero-tolerance policies that result in the arrest, suspension, and expulsion of students for minor infractions. Black and Latino students represent more than 70 percent of those involved in school-related arrests or referrals to law enforcement for violating minor school rules like the dress code, carrying a cell phone, or talking back to a teacher. The statistics paint a portrait of racial inequity. African Americans make up two-fifths and Hispanics one-fifth of all confined youth today. Black men represent 7.9 percent of 18- to 24-year-olds in America, but only 2.8 percent of undergraduates at public flagship universities. The jobless rate among poor black teen drop outs is an alarming 95 percent, according to Northeastern University. The disparities, unfortunately, do not end there. According to Human Rights Watch, people of color are no more likely to use or sell illegal drugs than whites, but they have higher rate of arrests. African Americans comprise 14 percent of regular drug users but are 37 percent of those arrested for drug offenses. From 1980 to 2007, about one in three of the 25.4 million adults arrested for drugs was African American. Upon conviction, black offenders often receive longer sentences compared to white offenders. The U.S. Sentencing Commission stated that in the federal system black offenders receive sentences that are 10 percent longer than white offenders for the same crimes. The Sentencing Project reports that African Americans are 21 percent more likely to receive mandatory-minimum sentences than white defendants and are 20 percent more like to be sentenced to prison. 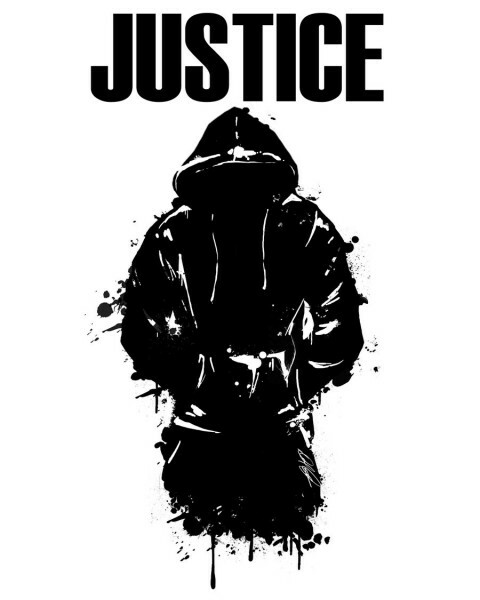 The killing of Trayvon Martin is a clarion call for our nation to finally grapple with the issue of racial injustice and the continued victimization of young black men. The response of millions to the injustice of failing to arrest and try Trayvon’s killer is a testament to the power and effectiveness of grassroots movements. The movement must not stop with this verdict but continue on until each and every young man of color in America can walk the streets in any of our nation’s neighborhoods unafraid, knowing not only that he is safe, but that his country walks beside him. Always injustice is unexpected for all. So don’t want injustice. It is so useful article for me because I have been sinking this type post since one month. There are many new information for me which I have no knowledge.